Level 6, P7, HS are all terms used to describe high security paper shredders. These are shredders used by businesses and government agencies to shred paper documents down to a size that's impossible for anyone to reassemble. At Advantage Business we sell many of these units to Government agencies and to large businesses everyday so we've become the experts on educating our clients on these machines. When someone orders a high security shredder, we make sure to educate the buyer on 2 important facts about these machines. 1- They're SLOW. Really Slow! Because they have to shred to such a small size, they are 300% slower than units shredding to Level 4 standards. 2-They can't accept ANY METAL. One paperclip can jam even the largest level 6 shredder. They are also limited to paper only. 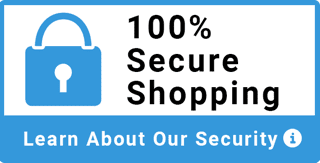 No credit cards, CD's, ID cards, Credit Cards, etc. Many times customers end up with a combo of machines once they see how 2 units actually cost less and increase shred capacity. As shown above, instead of buying one large machine, buying two units is less overall cost and can increase shred capacity buy nearly 400%. 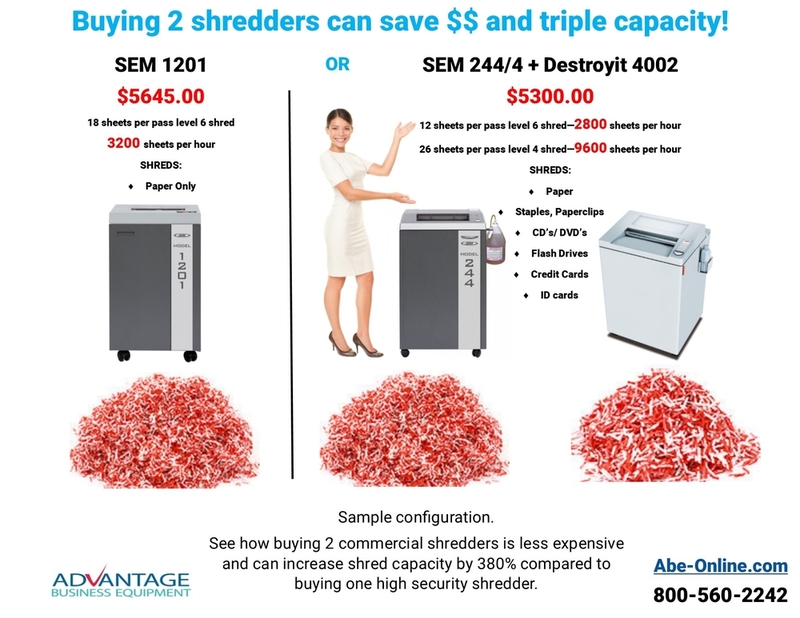 In the sample above, if a client wants a SEM 1201 High Security shredder, we point out the unit only shreds 18 sheets per pass and costs $5465.00. Then we show them the smaller SEM 244/2 can shed 13 sheets but costs only $2671.00. Then we explain the limitations of level 6 shredders and how they are limited to paper only. We then show them a Destroyit 4002. The Destroyit 4002 is our most popular unit and has a capacity to shred 26 sheets per pass to a larger but secure level 4 shred. Most important is it can shred, paperclips, staples, CD's/DVD's, flash drives, and credit cards with ease. Now for a cost savings of $300.00, a business can have a full line of equipment with the ability to shred the widest variety of confidential business waste.